Did Prince die from AIDS? Prince AIDS? Sources have revealed the musician been diagnosed with AIDS, throwing into question what in the end may have led to him suddenly dying? A new report has come out telling that Prince was ‘preparing to die for a little while’ after purportedly being diagnosed with AIDS. According to a report via the National Enquirer, a source is alleged to have told the tabloid that the iconic star prior to his death last Thursday messaging friends on April 19 telling them he was suffering from the disease. 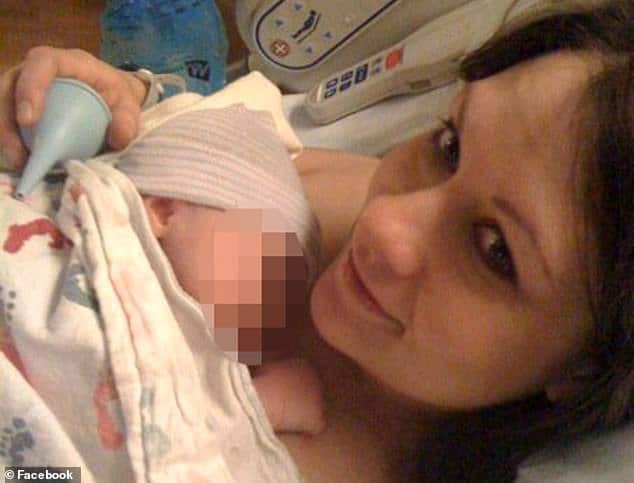 Adding: ‘Doctors told Prince his blood count was unusually low and that his body temperature had dropped dangerously below the normal 98.6 degrees to 94 degrees. ‘He was totally iron-deficient, very weak and often disoriented. The source is quoted as claiming Prince was diagnosed with AIDS six months ago after contracting the HIV positive virus ‘in the 1990s’. Yet according to the source, because of Prince’s devout adherence to his Jehovah’s Witness faith, refusing medical treatment believing instead he could be cured by praying it away. ‘God can and will cure me,’ Prince is alleged to have told friends. Members of his faith are also claimed to have told the iconic musician to ignore saying to the singer he had ‘everlasting life’. 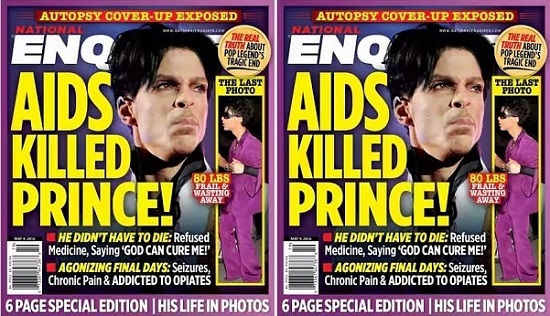 Which raises the question was Prince actually suffering from AIDS? How reliable are the National Enquirer’s sources? Throwing more viability to what is increasingly becoming a convoluted story leading to Prince’s demise, including claims that he was being sourced a cache of illicitly gotten pharmaceutical drugs courtesy of a ‘dodgy doctor’ that Minneapolis detectives have begun probing in a possible murder homicide investigation is a report from The Santa Monica Observer. That report claims a source coming to them two days prior to Prince’s death telling them about Prince’s purported AIDS diagnosis. According to the source, Prince contracted the virus in the 1990’s, having chosen to keep the illness private. The source also said he hadn’t been taking certain medications for the disease because of his religion with the Jehovah’s Witnesses church. All of which raises the question, what ultimately led to Princes death? Was it a confluence of abusing painkillers? Was it a situation of the musician succumbing to illness, an ongoing reported nagging ‘flu’, overt dehydration or were the later just symptoms of the musician succumbing to AIDS?